Following on from x-ray maintenance developments with Keith Feay last year, other hospital equipment is being brought into a servicing programme. 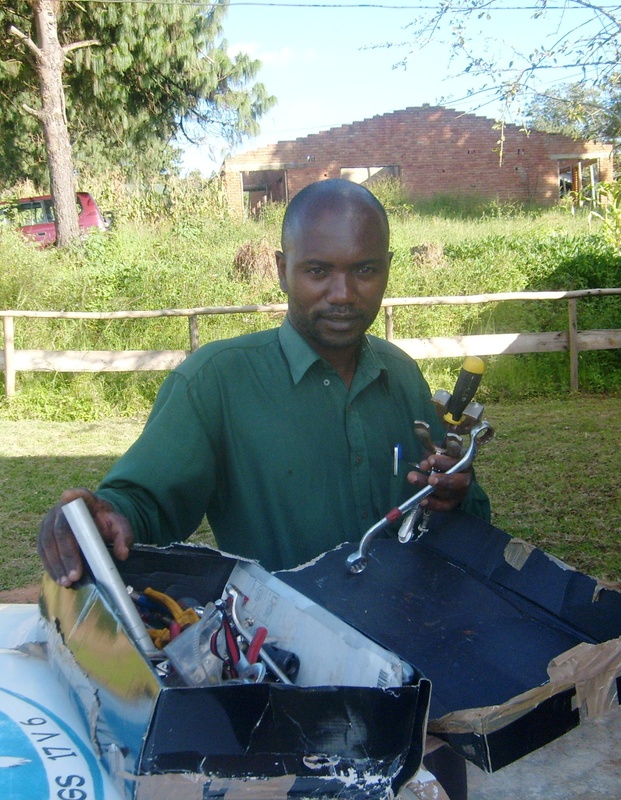 On a recent visit to Malawi a survey was carried out on the condition of equipment at various Synod hospitals. A tester has been bought which gives information on oxygen levels delivered by oxygenators. Interesting results ! 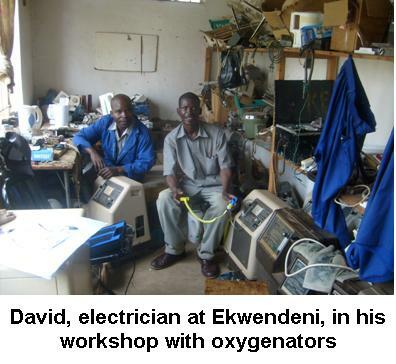 New filters are being purchased and servicing will be carried out by the hospital electricians on the next visit to Northern Malawi. …..and it still works, but Health and Safety would not approve! This is the current, main hospital sterilising equipment. 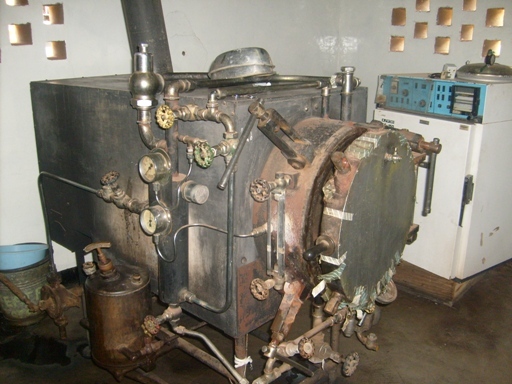 It is powered by parraffin and the pressure pumped up like a Tilley lamp or Primus stove. A few days ago an e-mail arrived, informing us that a modern replacement has been sourced in Aberdeen. This will shortly be on its way to Malawi. The rainy season has lasted longer than usual in Malawi this year. 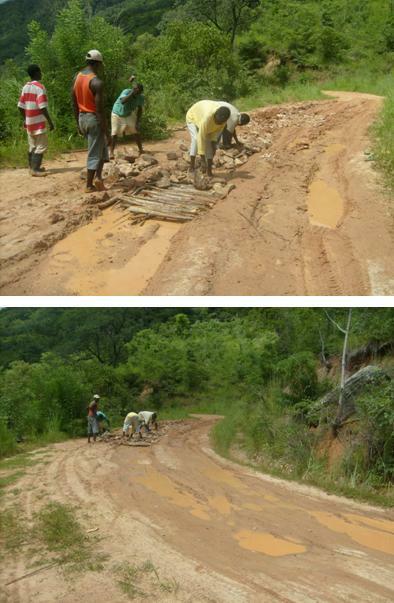 During John’s visit in March/April there were several heavy rain storms and the Gorodi Road was very slippery and had suffered some damage. Workers were soon out with supplies of stones etc. to repair the road and prevent more damage.